"The Detective Dog" written by Julia Donaldson and illustrated by Sara Ogilvie was recently released in a cased board book format by Pan Macmillan Australia, and is a wonderful story for the youngest dog lovers (aged 2-6 years). "There once was a dog with a keen sense of smell. She was known far and wide as Detective Dog Nell." All the school's books have disappeared and Detective Nell needs to sniff out who's taken them and why? This title is a fast-paced celebration of books, reading, libraries, and the relationship between a little boy and his rather special dog. To Enter, Like and Share our post on Facebook or Instagram (09/02/2018) and simply comment by telling us "why your kid(s) would love a copy of 'The Detective Dog' ?" 1. This Competition will close on Friday 16th February, 2018 (2pm). The winners will be drawn and announced on Sunday 18th February, 2018. 2. 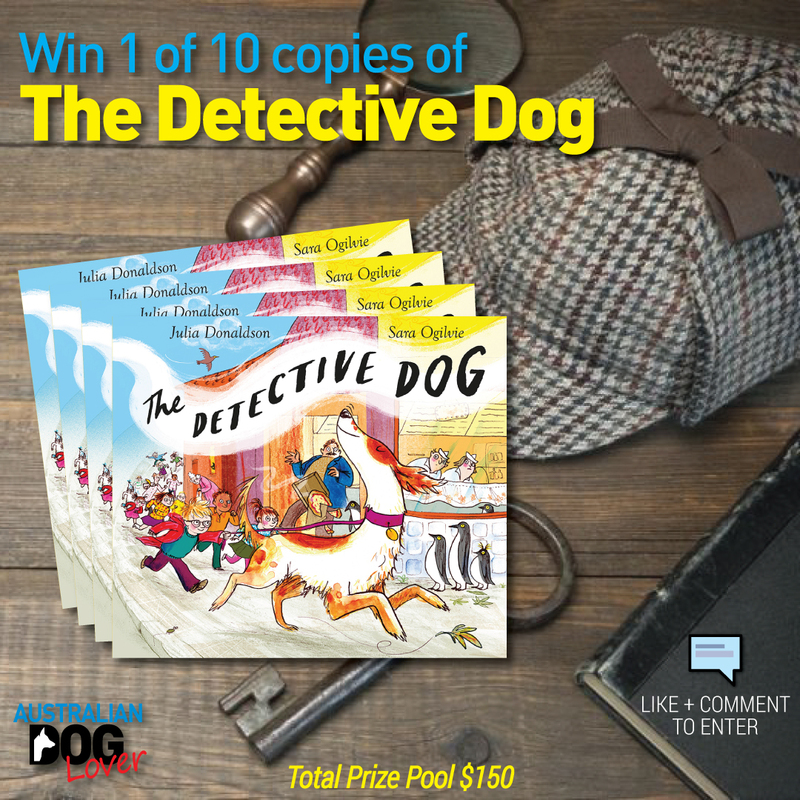 To enter, like and share and simply comment by telling us "why your kids(s) would love a copy of 'The Detective Dog' "?